What some of you may not know about me is that I am kind of a sci-fi geek. I love the X-Men movies and I seriously can’t get enough of the Lord of the Rings. It’s so adventurous and has such a good message about good vs. evil! I believe that every Christmas break deserves a Lord of the Rings marathon. Okay, fine. You know my secret (that’s no secret). 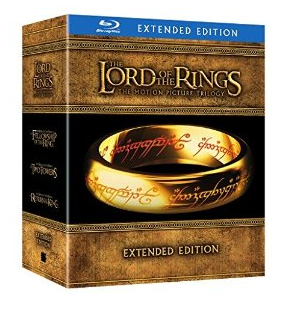 Today I found The Lord of the Rings: The Motion Picture Trilogy extended version on Blu-Ray for only $37.99 + free shipping! It would be a great gift for the Jenica in your life. Now who’s going to buy this for me?